Apply any image to virtually any surface from wood to glass, ceramics, walls, furniture, artists' canvas, and more. 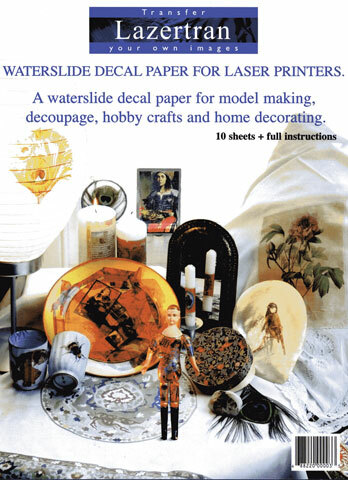 This decal paper works with photocopiers that use fuser oil and is not recommended for use with oil-less toner machines. Each pack contains ten 8-1/2" x 11" sheets.